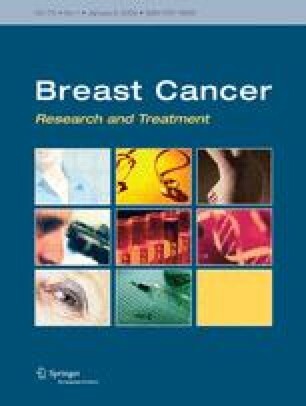 Introduction International Breast Cancer Study Group (IBCSG) Trial 11-93 is the largest trial evaluating the role of the addition of chemotherapy to ovarian function suppression/ablation (OFS) and tamoxifen in premenopausal patients with endocrine-responsive early breast cancer. Methods IBCSG Trial 11-93 is a randomized trial comparing four cycles of adjuvant chemotherapy (AC: doxorubicin or epirubicin, plus cyclophosphamide) added to OFS and 5 years of tamoxifen versus OFS and tamoxifen without chemotherapy in premenopausal patients with node-positive, endocrine-responsive early breast cancer. There were 174 patients randomized from May 1993 to November 1998. The trial was closed before the target accrual was reached due to low accrual rate. Results Patients randomized tended to have lower risk node-positive disease and the median age was 45. After 10 years median follow up, there remains no difference between the two randomized treatment groups for disease-free (hazard ratio = 1.02 (0.57–1.83); P = 0.94) or overall survival (hazard ratio = 0.97 (0.44–2.16); P = 0.94). Conclusion This trial, although small, offers no evidence that AC chemotherapy provides additional disease control for premenopausal patients with lower-risk node-positive endocrine-responsive breast cancer who receive adequate adjuvant endocrine therapy. A large trial is needed to determine whether chemotherapy adds benefit to endocrine therapy for this population. We thank the patients, physicians, nurses, and data managers who participated in this International Breast Cancer Study Group (IBCSG) trial. The IBCSG is funded by the Swedish Cancer Society, The Cancer Council Australia, Australian New Zealand Breast Cancer Trials Group (NHMRC grant number 940892), the Frontier Science and Technology Research Foundation, the Swiss Group for Clinical Cancer Research (SAKK), Cancer Research Switzerland/Oncosuisse, the Foundation for Clinical Research of Eastern Switzerland (OSKK), and the United States National Cancer Institute (CA-75362). Kantonsspital Graubünden, Chur: F. Egli, P. Forrer, A. Willi, R. Steiner, J. Allemann, T. Rüedi, A. Leutenegger, U. Dalla Torre.